Charlotte G Fisk is a lonely girl whose imagination and eccentric behavior often get her into trouble. She has one friend; but he has only a few weeks left to live. When her favorite apple tree opens its roots and sends her plummeting into the fairyland of New Albion, Lottie's only thought is to get back to her friend, when she learns that one of the sprites has a magical medicine for "otherwise incurable" afflictions, she becomes ever more determined to get back to the real world and put that medicine to good use. Unfortunately the king of the fairies is also sick, he and his minions will stop at nothing to get that potion and destroy Lottie, who is much more important than she would ever guess. 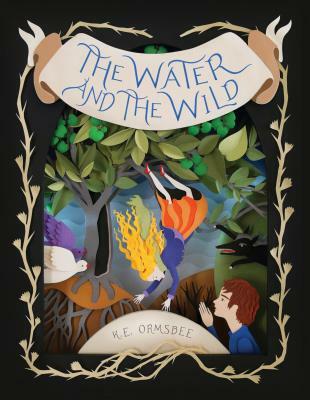 This book is an exciting magical adventure for kids aged 10 and up, but it also deals with some complex issues of political power and its abuse. These are not clean and pretty fairies, but more like the dangerous and vindictive sprites of folklore.